Why the “Travelers vs. Tourists” Debate Needs to Stop. It’s the notion that a “traveler” is someone who chooses to explore the lesser-known, off-the-beaten-track kinds of places, whereas a “tourist” simply checks out the popular attractions. Some people further assume that a tourist makes easy, obvious choices, while a traveler chooses to conduct research and dive deeper into the local culture of the places they visit. While there’s nothing wrong with exploring lesser-known destinations, this mindset unfortunately leads some of us to belittle—even shame—certain destination choices or traveling styles. As a passionate traveler (or tourist, if it pleases you) and travel blogger, I’m appalled by these assumptions—which only create a rift between people. Since when did travel become praiseworthy only if we’ve spent a night in the Amazon rain forest or bungee jumped off a cliff for a burst of adrenaline? But these definitions also make it seem like we need to leave every pleasurable activity off our travel itinerary if we want to be called a traveler. Unless we’ve slept in a tent, peed in a hole in the ground, or lived out of a backpack, we’re not worthy of calling ourselves a traveler? And some might even add “interacting with locals” to that list. But what’s stopping us from interacting with locals even if we’re tourists staying at a nice hotel? In my circle, it would probably be a faux pas to announce that I’m going on a vacation to the Maldives, because it’s not considered “cool.” Perhaps, if I were to embark on a “soul-searching journey to Kilimanjaro,” that might be fashionable enough. Don’t get me wrong. I’ve had my fair share of road trips through the Himalayas, lived in hostels with shared bathrooms in Europe, and spent nights at airports during a city-wide shutdown. But I’ve also experienced the Marriotts, the Arias, and the all-inclusive resorts—where the biggest travel choice was whether to spend the day at the beach or the pool. Would I pick an Aria hotel over a rickety dorm bed? Sure, why not? If it fits my budget, I’d choose a comfortable space every single time—though I’d probably need to sell my kidneys to do it, but that’s beside the point. Now, would that choice determine if I’m a tourist or a traveler? This mindset is exactly what I have a problem with. I detest the way we are branded based on the choices we make. If we choose to explore countries other than our own, we’re just a tourist. A real traveler would exhaust their own backyard first, right? If we choose a comfortable bed and soft pillows in a pretty city over a sleeping bag in the forest, we’re not “real” travelers, right? Here’s what I think. Whether we call ourselves travelers or we’re labeled as tourists, we should travel because it makes us happy—and that is the only reason that matters. We don’t need to prove to anyone how bold, adventurous, or unique our travel style is. If we enjoy the adrenaline rush, go for that bungee jump, all guns blazing. But if we don’t enjoy that stuff (or, if you’re like me, and it scares the living bejesus out of you), don’t do it just for validation or approval from others. If we’d rather gaze at the Paris skyline from the steps of the Sacré-Cœur Basilica, so be it. As long as it makes us happy. And we don’t owe anyone an explanation. Some people drive themselves crazy looking for offbeat or non-touristy destinations just so they can impress others with their choices. Don’t we realize that by doing this, something pleasurable is slowly turning into something stressful? If only I had a dime for every time I heard the words, “Oh that place was so crowded! This is why I avoid touristy destinations.” Well, dear traveler, aren’t you one of those people creating that crowd? To avoid being called a tourist, should I skip seeing the Tower Bridge when I visit London? Or better yet, perhaps I should avoid London altogether and plan on visiting Nairobi instead. Trust me, if I could, I would visit them both. Why stop there? Ideally, I’d like to explore every inch of this planet. But because I can’t afford it, I prioritize some places over others. That doesn’t entitle anyone to belittle the choices I make. You know what? There isn’t a place out there that’s truly offbeat. No matter how isolated and remote a place might be, if we’ve been there, we sure weren’t the first ones and we definitely won’t be the last. Haven’t we done enough damage already with the way we judge each other’s lifestyles, beliefs, and faiths? Call me a tourist, a traveler, whatever—just don’t judge me for how and where I choose to find my happiness. Thank you so much, Shubha! I'm glad that this subject resonated with you and you found the article valuable. I honestly feel that we need to start appreciating each other more for our choices instead of condemning them. Thanks for taking the time to read this and for sharing your thoughts. I really appreciate it! 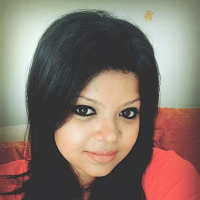 Chandrima Chakraborty is a content creator whose passion for writing and travel made her leave a successful career in sales and marketing to do what she loves the most. 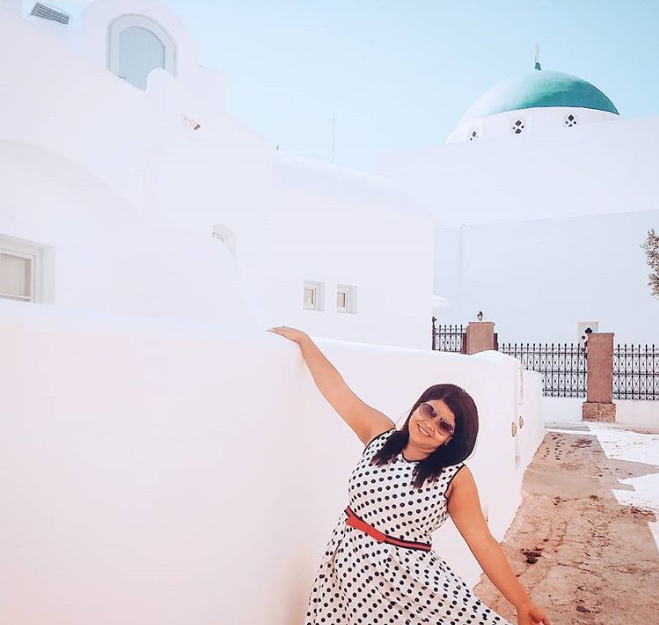 On her blog, Travel Stories Untold, she shares helpful guides, itineraries, tips, and experiences to inspire people to travel. Her pet peeves include small talk (she’s terrible at it), exercising (no love lost there), and glib talkers (she gets anxiety attacks around them). She’s a perfectionist at heart (if it isn’t a right angle, it’s a wrong angle) and her Instagram feed stands testimony to that.